During the event, we also presented the new Search Console in the Sandbox area for people to try and were happy to get a lot of positive feedback, from people being excited about the AMP Status report to others exploring how to improve their content for Search. We presented the Structured Data Codelab that walks you through adding and testing structured data. We were really happy to see that it ended up being one of the top 20 codelabs by completions at I/O. If you want to learn more about the benefits of using Structured Data, check out our case studies. During the in-person office hours we saw a lot of interest around HTTPS, mobile-first indexing, AMP, and many other topics. The in-person Office Hours were a wonderful addition to our monthly Webmaster Office Hours hangout. The questions and comments will help us adjust our documentation and tools by making them clearer and easier to use for everyone. Indexing and rendering don’t happen at the same time. We may defer the rendering to a later point in time. Make sure the content you want in Search has metadata, correct HTTP statuses, and the intended canonical tag. Links should have an href attribute pointing to a URL, so Googlebot can follow the links properly. Make sure to watch this talk for more on indexing, dynamic rendering and troubleshooting your site. If you wanna learn more about things to do as a CMS developer or theme author or Structured Data, watch this talk. 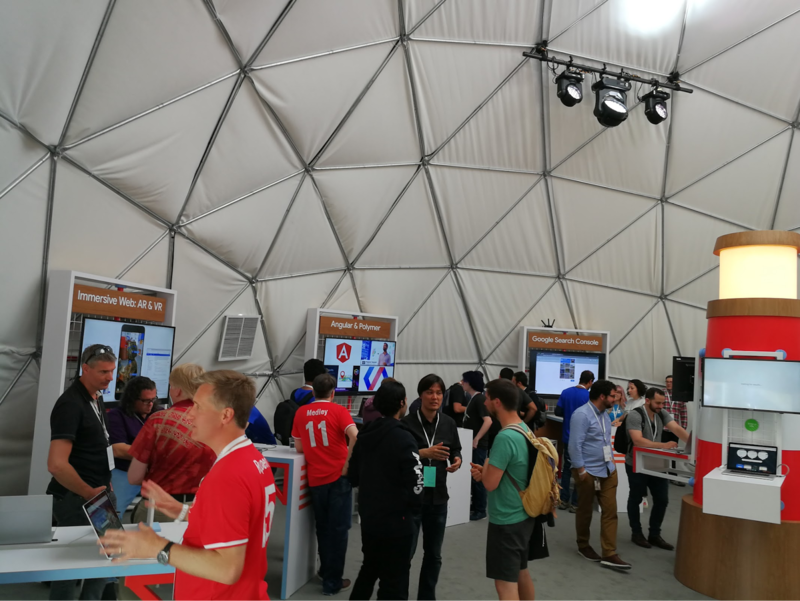 We were excited to meet some of you at I/O as well as the global I/O extended events and share the latest developments in Search. To stay in touch, join the Webmaster Forum or follow us on Twitter, Google+, and YouTube.